As more companies do away with defined benefit pension plans, the responsibility is left on individuals to ensure that they have enough income saved for retirement. The issue is many people don’t realize the importance of developing a financial strategy now or understand what needs to be done. Help your prospects and clients with a financial strategy that will help them not outlive their savings. This is where financial professionals can step in and showcase the importance of preparing for retirement. They can suggest the most suitable products for each individual, as everyone has a different situation with different goals. They can help clients realize possible risks, especially longevity, as living to an older age means that these risks must be managed for a longer period of time. Because of this, many consumers have considered income producing products, as these insurance vehicles can allow them a guaranteed* incoming cash flow, oftentimes without regard to market performance, or even surrounding economic issues. This has led to interest in deferred income annuities (DIAs), fixed indexed annuities (FIAs), and single premium immediate annuities (SPIAs). Although all clients’ situations are unique, the benefits that are offered through these products can cover a variety of different needs. If you do not offer these vehicles as a supplement to a retirement plan, it is possible that you might be leaving the door open for clients to go elsewhere to take care of their retirement income needs. Becoming familiar with how FIAs, DIAs and SPIAs can provide growth and protection of premium to a client’s portfolio, you build trust and strengthen that client relationship to hopefully last a lifetime. Also, the clients, who plan for retirement and are able to maintain their standard of living during retirement, have assets for times they may need them, and have the potential to accumulate wealth through different means of retirement savings. But it starts with financial professionals sharing the importance of retirement income planning. As you know, some prospecting programs work better than others. Request the on-demand webinar to learn about a break-away prospecting opportunity that gives you more qualified people to see. We've thoroughly vetted this program and we know from first-hand experience that it generates results. * Guarantees are backed by the financial strength and claims-paying ability of the issuing company. Annuities are designed to meet long-term needs for retirement income. They provide guarantees against the loss of premium and credited interest, and the reassurance of a death benefit for beneficiaries. Any distributions may be subject to ordinary income tax and, if taken prior to age 59½, an additional 10% federal tax. Early withdrawals may result in loss of principal and credited interest due to surrender charges. 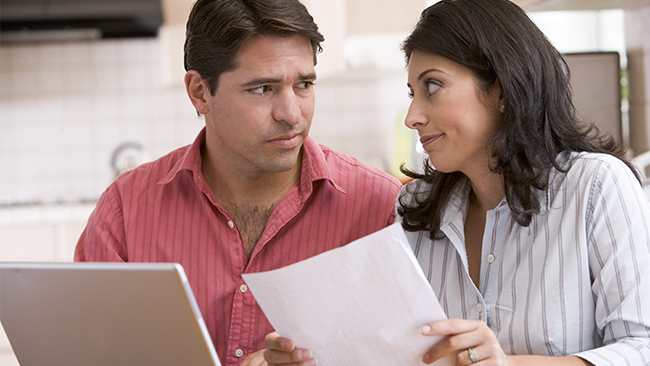 Partners Advantage Insurance Services and its representatives do not give legal or tax advice. Consult your tax advisor or attorney for legal or tax advice. A fixed indexed annuity can provide annuitization as a means to provide retirement income payments. An alternative option to annuitization could be the purchase of an optional lifetime income rider, a benefit for which an annual premium is charged. Please note that in order to provide a recommendation to a client about the liquidation of a securities product, including those within an IRA, 401(k) or other retirement plan, to purchase a fixed or variable annuity or for other similar purposes, you must hold the proper securities registration and be currently affiliated with a broker/dealer or registered investment adviser. If you are unsure whether or not the information you are providing to a client represents general guidance or a specific recommendation to liquidate a security, please contact the individual state securities department in the states in which you conduct business.